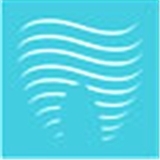 Jamily Pedro (AQUA Dental loft) (Boca Raton) - Book Appointment Online! I saw Dr. Casey Pedro during my visit. He was very helpful and sweet. Everyone else in the office was incredibly nice as well.